Create - Holded automatically creates invoices when orders are created, paid or fulfilled. 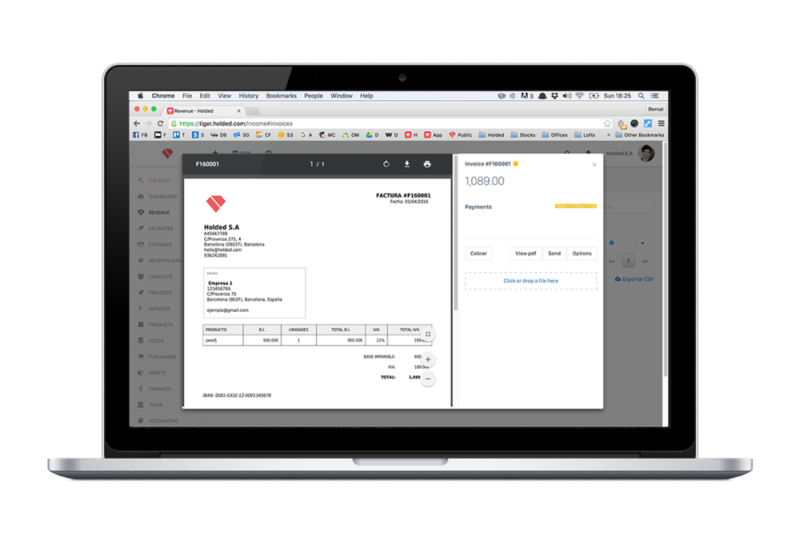 Send - Send invoices to your customers automatically. Worries-free. Get paid - Get paid faster by accepting credit card payments and paypal payments. 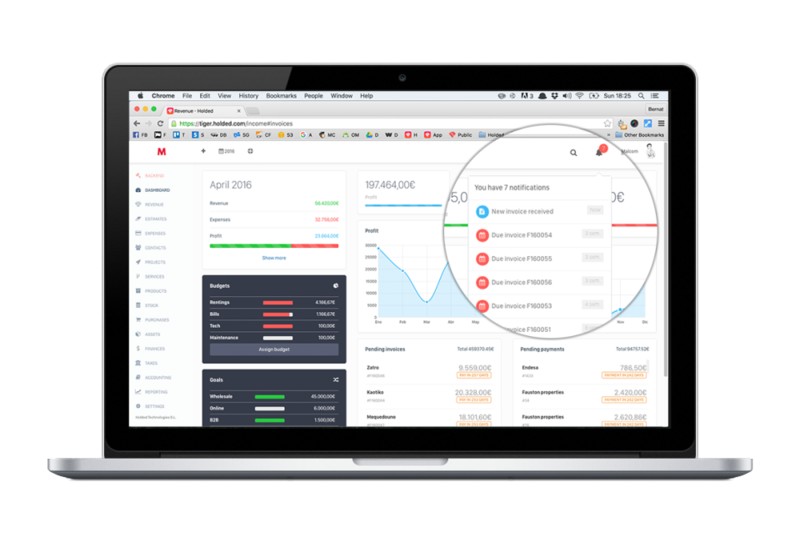 Manage your customers - Manage your customers defaults, settings with advanced reports. Sync your products - Sync all of your Shopify products with Holded Inventory. Stock, Variants, Warehouses, etc. Discover why over more than 5000 businesses love Holded. Create invoices and estimates online fast and easy. Clients and providers classified in the same place. Automatic accounting for small businesses. Do not make accounting anymore. Integration with more than 53 banks for a bank high speed bank conciliation. High security and hourly backups. 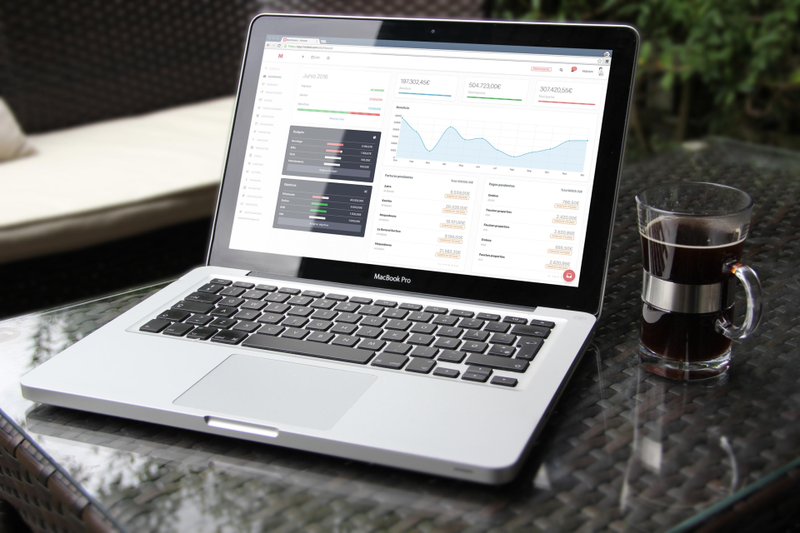 Get fully access to your data wiht multiple reports that gives you the information you need. Create custom reports and save them for the future. 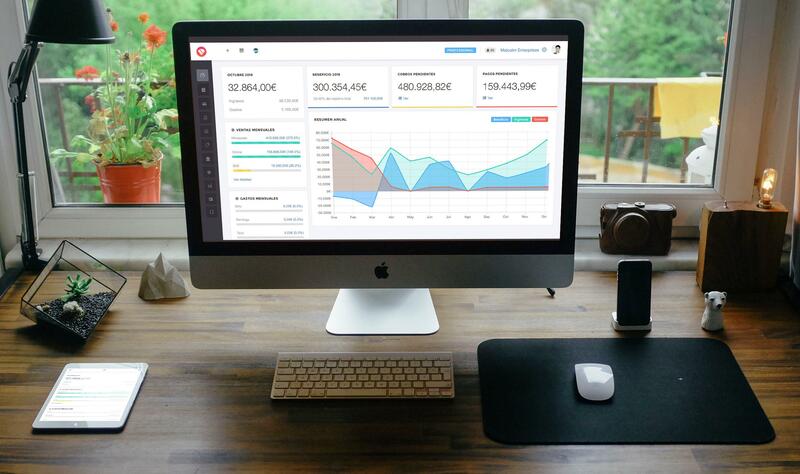 A super easy to use API that allows you to integrate your product with your financials. Boost your Holded installing new apps at Holded Store. Multilanguage and multicurrency with real-time data. Amazing support and super-easy platform to get you started in seconds.